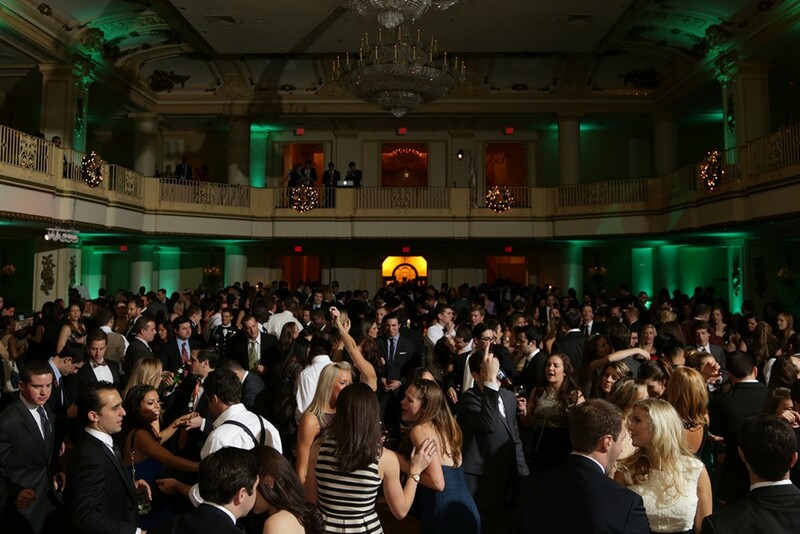 Tickets to Philadelphia's Best & Most Popular NYE Party are Selling EXTREMELY FAST - see you & your friends there! VERY VERY LIMITED TICKETS LEFT!! BUY TICKETS NOW!!! WE WILL SELL OUT!!!! Check out videos from past Glitter City Gala's below. Be sure to "Like" & "Share" above to help spread the word!! Includes 5-hour open bar, buffets, party favors, champagne toast, live music, dancing, DJ entertainment all night long, and MORE! Ticket sales ended at: 12/31/2018 at 11:00 PM $129.00 Ended 18! Includes everything with regular General Admission tickets, just at a great discount for purchasing 8 or more tickets together. Includes everything with General Admission PLUS hour early entry at 8pm, 6-hour premium open bar with top-shelf vodka, access to incredible private VIP mezzanine, carving stations, VIP heavy food buffet, VIP bars & bartenders, sushi buffet, martini & champagne bar, and more! Ultra-Exclusive - Amazing! Purchase this ticket if you need to add on to an existing table - table size limits are 6 people total (7 if you want us to add an extra chair and squeeze in)! Includes everything listed with normal Reserved Seating tickets. DO NOT purchase this for ticket for new tables - your order will be canceled - all new tables are now sold out. You are REQUIRED to enter the order # & purchaser name for the original table purchase at check out. Purchase this ticket if you need to add on to an existing table - table size limits are 6 people total (7 if you want us to add an extra chair and squeeze in)! Includes everything listed with normal Ultra VIP Bottle Service tickets. DO NOT purchase this for ticket for new tables - your order will be canceled - all new tables are now sold out. You are REQUIRED to enter the order # & purchaser name for the original table purchase at check out. New Year's Eve is all about your friends, the party, what's included, and the location - and this year, we have the very best option in town! 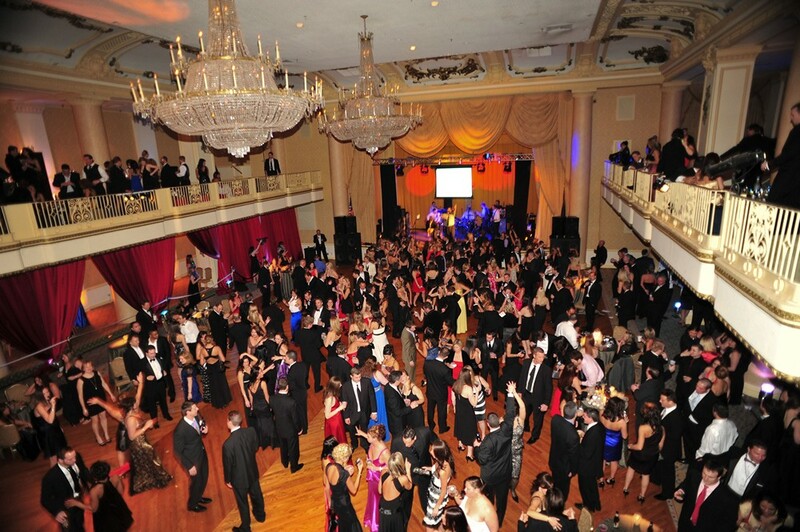 The Glitter City Gala will be the most well-attended, fun, and talked about New Year's Eve event in Philadelphia. This year, over 1,500 guests will "dress up, get down and ring in the New Year right" on multiple party floors with multiple Top-Area DJs and a laser-light show getting you to party the night away! View Event-Action videos from past Glitter City Gala's below! Join Us for Philly's LIVE "Liberty Bell Drop"! Picture it: It's a few minutes before midnight and the clock is counting down. Then we hit 11:59pm and our own special lit up Liberty Bell starts to fall. We inch closer to the new year and then everyone starts to shout "10, 9, 8...." all the way to "1"... As the clock strikes 12, The Liberty Bell stops and tens of thousands of pieces of confetti explode on the crowd at the stroke of midnight to ring in 2019. WOW IS RIGHT! There will be something truly amazing happening at this event. The very first Bell Drop™ - a moment you'll never forget and you can only experience this at the Glitter City Gala. 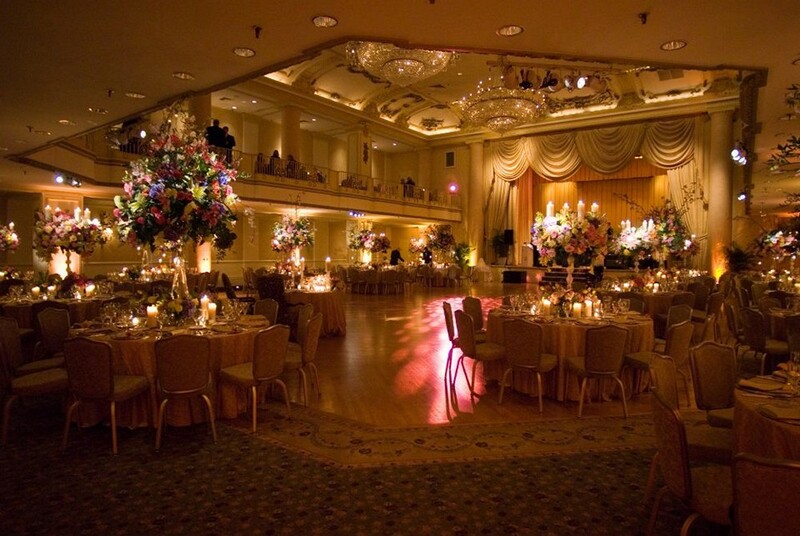 The Bellevue Hotel - stay where the party is! BOOK ASAP - VERY LIMITED HOTEL ROOMS LEFT. 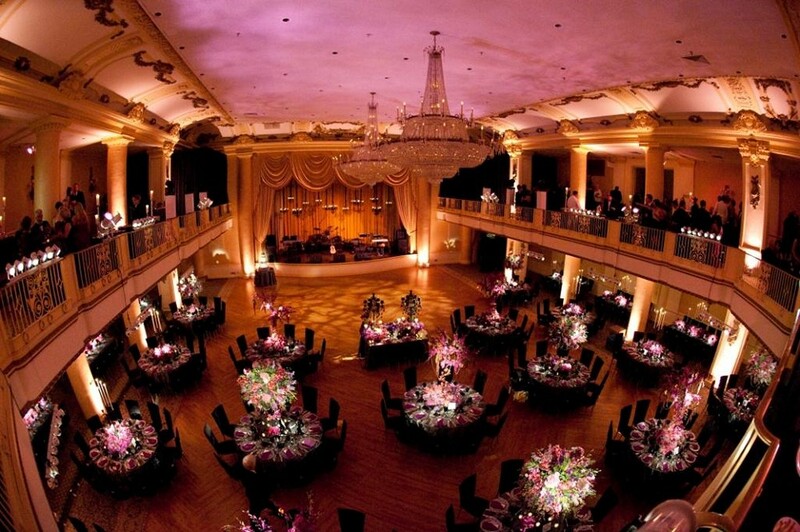 Book Online Here or 800-233-1234 and mention the "Glitter City Gala" for reduced rate. 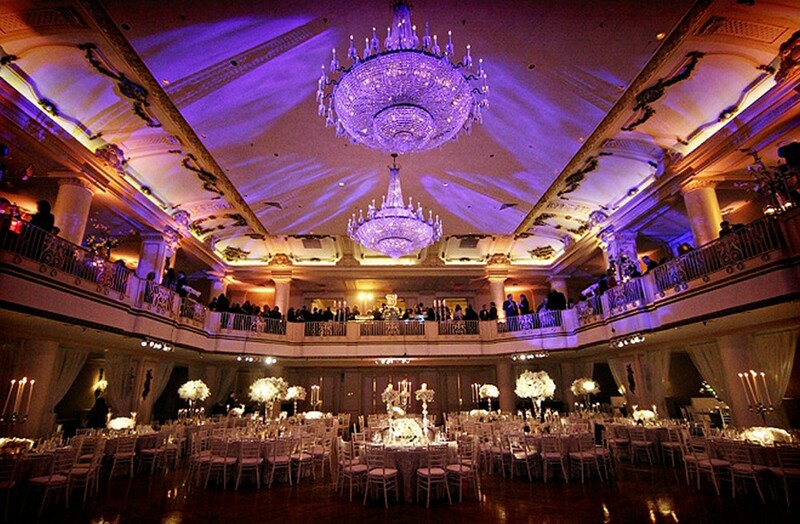 The Bellevue Hotel is Philly's most breathtaking, multi-floor location providing the perfect backdrop for the most amazing NYE party in Philadelphia. The venue is absolutely the best in the entire city, featuring iconic detail, multiple dance floors, awesome DJ's- DJ Sojo in the mainroom with Nico Oso in the back room, and a huge stage. One thing is for sure... if you wait to buy tickets, you will not get them as this event is the most exclusive in the city and will sell out. 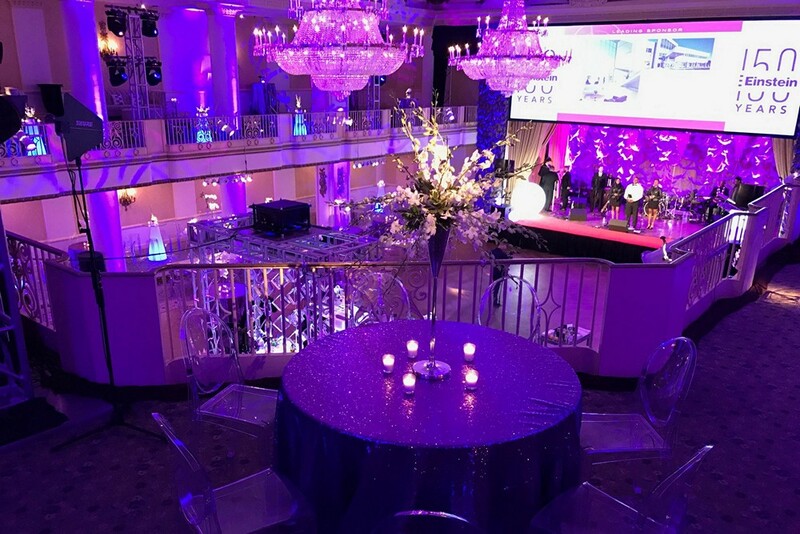 VIPs can party in a separate, private VIP mezzanine area so we can cater to our VIPs in style with buffets, top-shelf vodka bars, enjoy sushi, and more. We get this question all the time - this is NOT a couples-only event, it's perfect for large groups (click "contact the organizer" above if you have a group of 20+ people for extra discounts) as well as smaller groups of guys or gals looking for an amazing NYE. The best venue, tons of bars & bartenders (no long lines for drinks! ), complimentary soft drinks, and a "to go" table with philly soft pretzels & water, the hottest crowd, Philly's best DJs (DJ Sojo and Nico Oso), professional photographers and videographers, giant ball drop screens, dancing, martinis, champagne, people watching, multiple floors, seperate DJ room, grand staircases, great food & carving stations, and premium & top-shelf name-brand drinks. Coat check will be available. Dress to impress - it's Monday night in the city for New Year's Eve! JUST ADDED - THE OFFICIAL AFTER PARTY AT ZEE BAR!! Don’t stop after the ball drops! Join Us at Zee Bar for the Official After Party with Complimentary Admission! Just show your party ticket (on phone or paper ticket) at the door after 1am to confirm your RSVP to this exclusive members only venue ($20 value)! Space is limited - entry not guaranteed once venue is at capacity, so get there early to beat the rush! We believe that every great party should support charity. That's why we are donating a portion of our proceeds to PAWS, Big Brothers Big Sisters, Philadelphia Veterans Comfort House this year. In addition, you can support these great charites by selecting a "donation" ticket, 100% of the money you select will be donated to charity (you can choose as many $5 donations as you would like). We love groups. Have a group of 10+ people? Save $10/ticket, buy tickets above! Have a group of 20+ people? Well, let's have a chat. Please click "Contact the Organizer" above and we will get right back to you with what we can do. Please let us know your group size when you email us. Have a question? Want to be a sponsor? Just click "Contact the Organizer" above and we will get right back to you. Mezzanine & Party Photos of The Hyatt from Hair O' the Dog. Incredible booty-shakin' music all-night-long from the best DJs - we promise nothing but Philly's best! Exclusive LASER light show - it will be amazing! Admission to a FREE 2-Hour OPEN BAR Reunion Party in 2019! 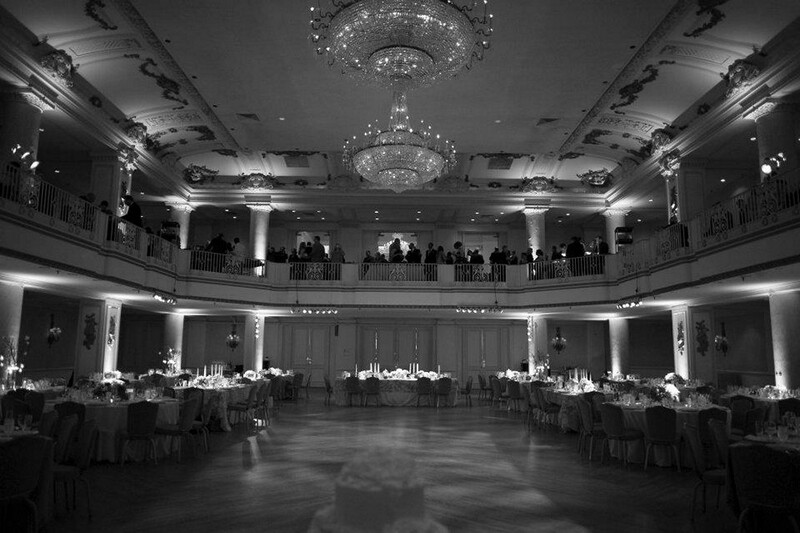 Be a part of event history with our event videographer and professional photographers. Do not forget to get your picture taken on the back drop! Ticket Prices start at $99 and WILL INCREASE more tickets are sold. Group Rates available on 10+ tickets ordered together. Early entrance starting at 8pm with a 1-hour VIP welcome reception including open bar, buffet foods, and champagne. NOTE: VIPs can mix and mingle with the others in the General Admission area. The VIP area is a private area for VIPs only, but you have access to all the general admission locations as well. Ticket Prices start at $129 and WILL INCREASE more tickets are sold. VERY LIMITED AVAILABILITY! Limited to groups of 2 - 12 people per table (larger groups can have tables next to each otherif you contact us in advance). Groups of 2 will be paired up with another group of 2 people at the same table. Ticket Prices start at $139 and WILL INCREASE more tickets are sold. Champagne bottle service (1 bottle upon arrival and 1 bottle just before midnight on your table per 4 people). Ticket Prices start at $149 and WILL INCREASE more tickets are sold. ** Prices subject to increase as we get closer to the event date or close to selling out. 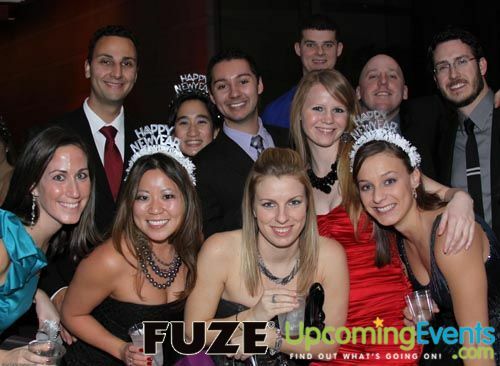 Do not wait to buy tickets to the best NYE party in Philly - we already made your decision for you!!! Smoking is NOT permitted inside the venue. You can go outside to smoke and be admitted back in. 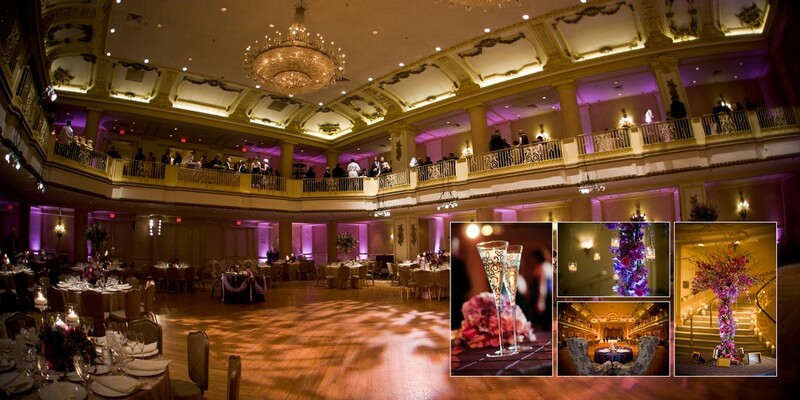 Discover true grandeur, historic style and unrivaled service at one of the most iconic hotels in the all of downtown Philadelphia. 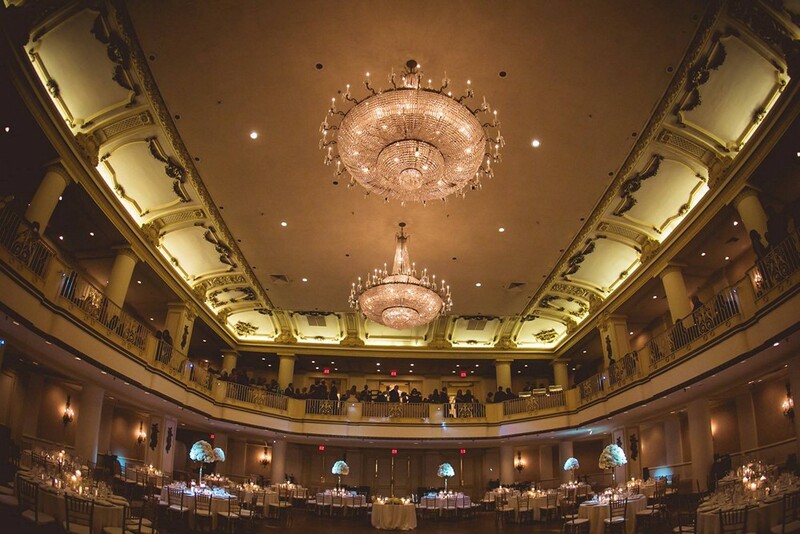 Situated on the famous Avenue of the Arts, The Bellevue Hotel seamlessly blends old-world architecture with modern interiors to provide a stay that epitomizes Philadelphia luxury. If you have questions about this event, please click the contact us link / button above and we will get right back to you!